March 30, 2016 | -by: Kevin George. 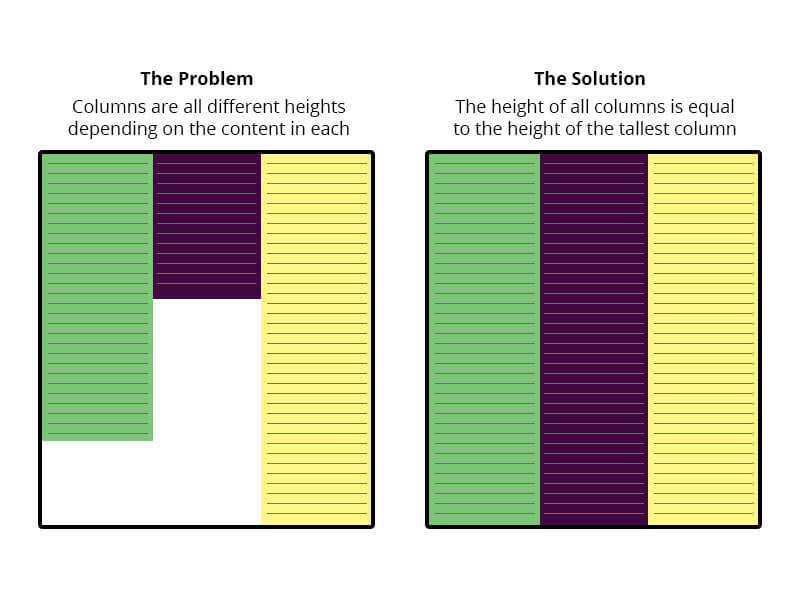 When most designers juggle through placing various components on a single page, they face one of the most pestering problems, creating equal height in the layout. To fix this hassle, Monks from the monastery walk you through some of the landing page disputes and how to fix them by these landing page tips. Let’s get started. This works flawlessly in the latest versions of Chrome, Android, Safari, Opera, Firefox, and Internet Explorer 10+. 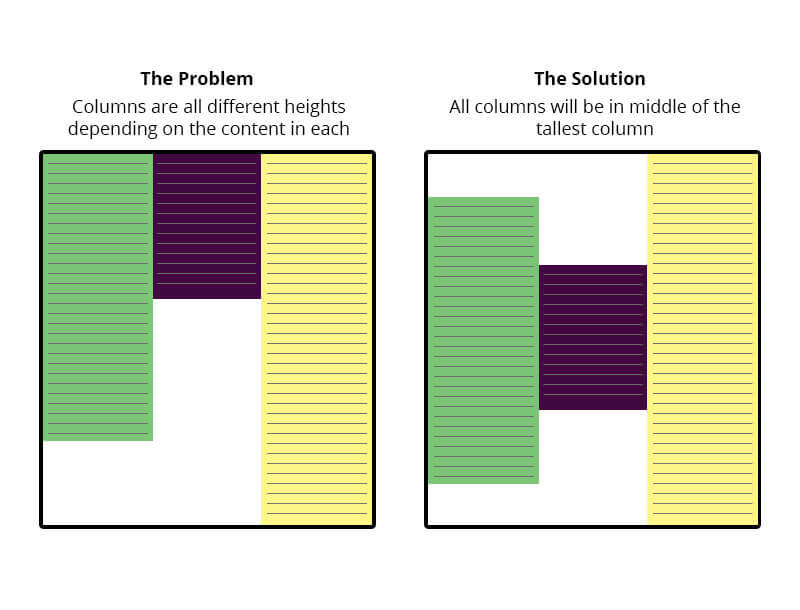 Achieving equal height columns with just CSS is such a common scenario with a few simple solutions. In projects that follow a standard content-sidebar layout, helps to have both of the containers seemingly stretch to the bottom of the page. This method uses margins, paddings, and overflow to force the columns to be equal heights. The methodology entails setting a big enough padding at the bottom of each floated element, and countering it with an equal negative margin at the bottom of the same elements. The trick is to set the overflow on the parent container to hidden. This works perfectly in the latest versions of Chrome, Android, Safari, Opera, Firefox, and Internet Explorer 9+. The lack of good ways to vertically center elements in CSS has been a dark blemish on its reputation for pretty much its entire existence. What makes the matter worse is the techniques that do work for vertical centering are obscure and unintuitive, while the obvious choices (like, vertical-align:middle) never seem to work when you need them. The current landscape of vertical center ranges from negative margins to display:table-cell to ridiculous hacks involving full-height pseudo-elements. Though these techniques sometimes get the job done, but they don’t seem to work in every situation. What if the things you want to center is of unknown dimensions and isn’t the only child of its parent? What if you could use the pseudo-element hack, but you need those pseudo-elements for something else? With Flexbox, you can stop worrying. You can align anything (vertically or horizontally) quite painlessly with the align-items, align-self, and justify-content properties. CSS tables might be fine for you or it might not as tables do render a bit differently than just a regular block-level div does. For instance the 100% width thing, a table will only stretch to be as wide as it needs to for the content inside it; whereas by default a block level element will expand to the width of its parent automatically. If we set up a “ghost” element inside the parent that is 100% height, then we vertical-align: middle both and the element to be centered will attain the same effect. This method works with multiple lines of text and the container div will grow dynamically with the content. Unfortunately it doesn’t work with IE6 or IE7 without a fix. The alignment and setting height of your landing page will be easeful after the implication of these solutions. However, if you’re juggling through more landing page related issues, then Monks can help you design & code beautiful landing pages. Visit our order page today and get blessed with flawless and divine landing pages.